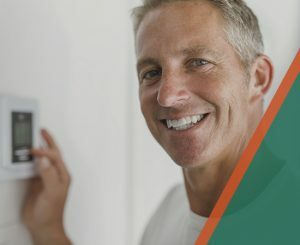 Comfort Pros Heating & Cooling offers services that treat any problem; from air conditioning repair to home heating repair, we have got you covered. No matter what heater or air conditioner services you may need, we will ensure you are informed and in control every step of the way. Before we ever begin, we offer a complete consultation that explains your options for HVAC repair, replacement, or general service. Are you in need of a new air conditioner, furnace replacement, or a complete installation of both? Comfort Pros Heating & Cooling has the experience and expertise to happily meet your needs. With more than 20 years of industry experience, our HVAC company pushes beyond industry standards to ensure that you are provided with the best service and products possible. That is why we are the chosen HVAC contractors of Blue Springs! We may be known for our hot, humid days, but Blue Springs is no stranger to chilly weather. When that winter weather strikes with below freezing temperatures, you need to be able to rely on your heating system to keep your family warm and cozy. Rest assured that the Comfort Pros Heating & Cooling team is readily available to meet your heating services need. From Furnace repairs to complete furnace replacement, we are the trusted team you can call day or night to ensure your home’s furnace is in working order. Our HVAC technicians are trained in the latest industry technology, and our team is experienced enough to troubleshoot any heating repair issue you bring our way. Take a look at our Heating Services page to discover more! At Comfort Pros Heating & Cooling, we are dedicated to providing our customers with premium quality A/C services in Blue Springs. We are familiar with how unpleasant the sweltering summer days can be without a properly functioning air conditioning system. We are also aware that A/C repair needs often arise at the most inconvenient times. No need to sweat it, as our expert team of HVAC contractors can assist you with everything from minor air conditioning repairs to absolute A/C replacement. Not only are we determined to ensure you and your family are comfortable this summer, but we are available day or night to offer you our A/C services. Visit our A/C Services page to learn more! If you have been looking for quality HVAC maintenance plans in the Blue Springs area, Comfort Pros Heating & Cooling offers plans that provide on-going HVAC service check-ups. These plans allow you and your family to have peace of mind knowing that your system will be serviced and checked twice a year. If you have been looking for HVAC maintenance plans in Blue Springs, our team is here to help. Click here to read more about the exceptional air conditioning and furnace service plans we have to offer. Comfort Pros Heating & Cooling knows that peace of mind is invaluable in today’s business climate. For this reason, we will proudly stand behind our services and products. Our personalized HVAC service harkens back to a time when quality craftsmanship was a source of pride and family businesses stood behind the services and products they offer. That is why we offer our clients the best HVAC warranties available from the industry. Continue reading here to learn about our HVAC warranties. No matter what heater or air conditioner services you need, we make it easy for our Blue Springs customers to get a free quote. Otherwise, contact us at any time to get a quick response for service, including air conditioning repair service or home heating repair. Whether you require speedy, experienced maintenance or repair on your furnace, emergency air conditioner repair, or your system is needing to be replaced by a new, up-to-date system in your home or business, our experienced and highly-qualified team is ready to tackle the job. Comfort Pros Heating & Cooling looks forward to serving you in the Blue Springs area.